I love stuffing. It may be that I love the carb load, but I would like to think that it is because my recipe is so delicious. I used to stuff the bird, but now I make mine in the crockpot. That way the turkey takes much less time, and I get the crunchy part all around the stuffing, but the moistness that makes a stuffing sandwich so tasty the next day. 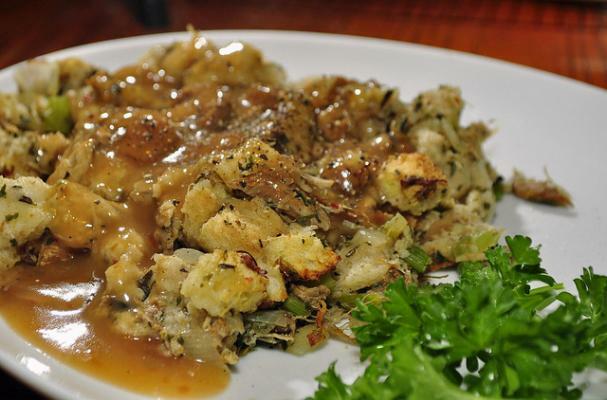 Oh, did I mention that I like my stuffing the next day even better?